Do you have an author, writer or budding novelist on your shopping list this Christmas? 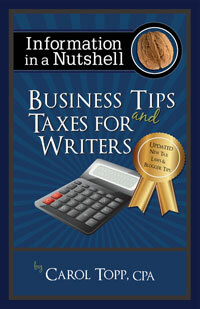 Carol Topp, host of the Dollars and Sense Show shares gift ideas for authors on her podcast. Writers Digest On-demand Webinars and Tutorials. Video, audio, boxed sets with books, DVDs, magazine subscriptions, etc. The Business of Writing International Summit in Kentucky. A virtual assistant to set up a blog, post articles, post to social media, set up Clickbank, Kindle, Smashwords, Createspace, etc.